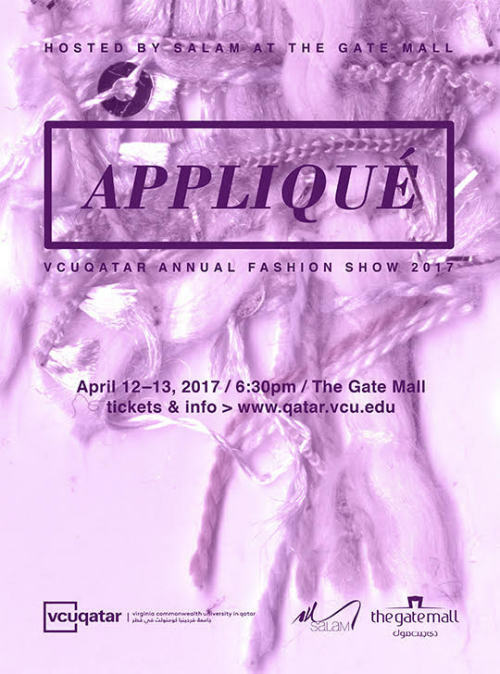 The VCU Fashion Department is excited to announce that this year we will be sending four students to show their collections at the VCUarts Qatar annual fashion show, “Appliqué”. The students selected are Josh Bigelow, Skyler Crawford, Lydia Critchfield, and Deborah Sedlacek. 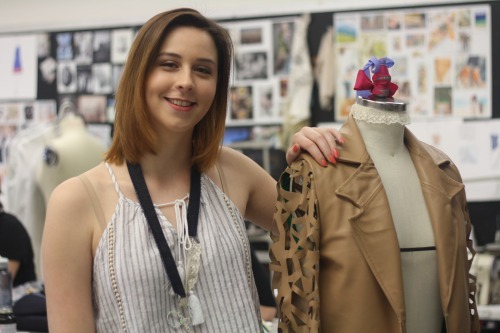 “Appliqué” showcases the work of VCUarts Qatar fashion design sophomores, juniors and seniors, launching graduates into professional careers. The show will take place on April 12 and 13 and is hosted by Salam Stores at The Gate Mall. Ahmed El Sayed, the co-founder of House of Nomad and a VCUarts Qatar alumnus, will be the guest designer at the show, where he will present his most recent collection. Live stream the fashion show from http://www.qatar.vcu.edu/events/applique-fashion-show on April 13 at 11:30AM in Eastern Standard Time. 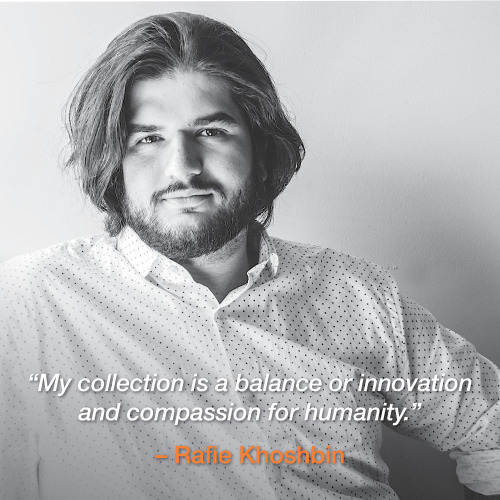 Rafie Khoshbin, VCU Fashion 2016 B.F.A. graduate, showed his Women’s Avant-Garde Fall/Winter 2017 collection at Charleston Fashion week on March 17. See more photos at http://charlestonfashionweek.com/photos/emerging-designer-rafie-khoshbin. 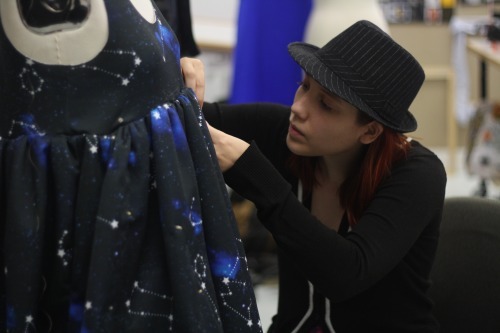 VCU put together an amazing behind the scenes look at how much goes in to producing the fashion show at VCUarts. Take a look at some of the photo highlights from the night, and be sure to watch the behind the scenes video at the end! Photo by Allen Jones, VCU. Katherine Manson, Corinne Napper , Jessica Fatherly, Caroline Gotlieb, Madison Moran, Robert Rey Layson, and Amanda Data competed against hundreds of students from major universities across the country including Parson, Harvard, FIT and Wharton School of Business. 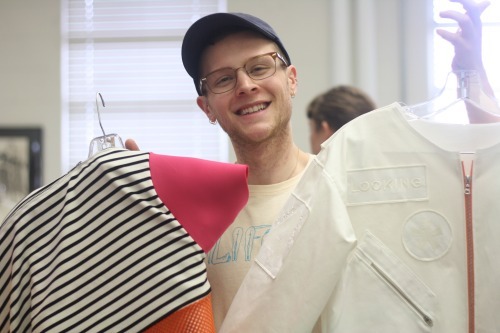 This was VCU’s first year as a Fashion Scholarship Foundation approved educational institution, and seven of eleven submissions were selected. Each student submitted a case study that identified innovative ways to retain the existing customer base and also developed ideas on how best attract new customers for the subscription service Birchbox. The awards ceremony took place on January 12th at the Marriot Marquis in NYC. 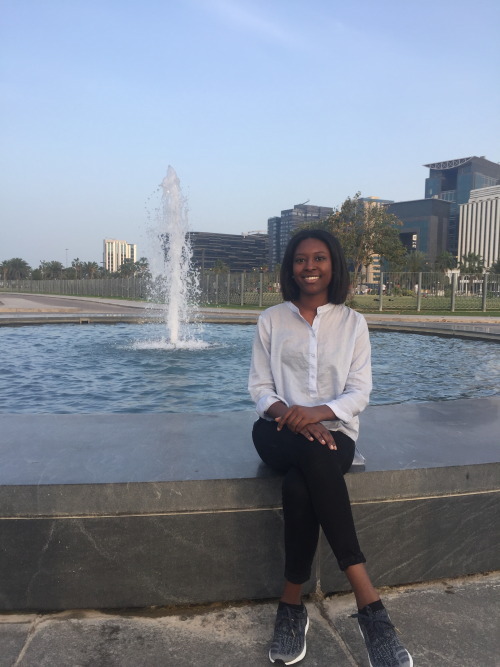 The winning students also received placements at internships at numerous fashion organizations including Phillips Van Heusen, Rachel Comey and Perry Ellis to name just a few. The Virginia Commonwealth University School of the Arts has hired Patricia Brown as chair of the Department of Fashion Design and Merchandising. Brown is a fashion industry veteran with more than 20 years of design and design direction experience. In 2008, she founded Patricia Brown Designs, a high-end fashion, jewelry and accessory design firm. She has worked with some of the best names in the business, including Ralph Lauren, Calvin Klein Collection, Adrienne Vittadini, Ann Taylor and Banana Republic. Brown graduated from the College of William and Mary with a major in economics and a minor in English. She then earned a bachelor of fine arts in fashion design, with honors and a Gold Thimble Designer Critic Award, from Parsons School of Design in New York City. Jame’t Jackson was awarded 1st place for Cotton Incorporated’s “Innovation in Design” and received a $1,000.00 prize. Emilia Hernandez was awarded the Undergraduate Alvanon Creative Design Award and will be awarded an Alvanon ASTM Missy Studio Dressform. Alice Kim, Jame’t Jackson, Emilia Hernandez, and Tyler Bowers .